On April 2, HUD Secretary Shaun Donovan joined a host of congressional leaders and representatives from over 175 community development organizations to toast the first anniversary of the Home Matters campaign. Led by the National NeighborWorks Association, Home Matters is a unique national initiative that aims to unite America around the essential role that “home” plays as the bedrock for families and communities across the U.S. One of the campaign’s major objectives is to raise awareness among the public at large of the critical role local community development organizations (CDOs) play in stabilizing and revitalizing neighborhoods. For many CDOs, housing counseling is the primary way of achieving this mission. No one knows more intimately the importance of homes to families and communities than the thousands of housing counselors offering foreclosure prevention or increasingly, pre-purchase counseling across the country. Over the past eight years, counselors have been essential to safeguarding the American dream, even during the most challenging of periods. Research has shown that housing counseling at both pre-purchase and foreclosure prevention has significantly reduced delinquency and kept many more families in their homes. There are approximately 2,700 HUD-approved housing counseling agencies in the U.S. whose services have been in high demand. For instance, housing counseling agencies report that the need for foreclosure mitigation counseling rose from 171,000 in 2006 to 1.4 million in 2010. Several factors lead me to believe that demand for housing counseling is not likely to fall off anytime soon. First, we are seeing the return of mortgage products that require housing counseling. I was at the National Community Reinvestment Coalition’s Conference in March where Donovan spoke about Homeowners Armed with Knowledge Initiative (HAWK), a new effort by HUD to embed housing counseling into FHA programs. Secondly, Donovan also cited multiple regulations that mandate the consumer seek or be advised of the availability of housing counseling, for example, counseling for high cost non-Qualified Mortgage loans, or the post-modification requirement for counseling. Finally, as the economy gradually improves, we would expect to see an upturn in the number of mortgage originations for first time home buyers. Given this, it’s easy to understand why HUD estimates in its most recent budget proposal that in 2015, 8,000 HUD-certified housing counselors, will assist a total of 2 million renters and owners to obtain or preserve their homes. Yet as demand for housing counseling remains high, housing counseling organizations will know only too well that funding has shrunk and sources continue to be increasingly hard to come by. A question facing many of the housing counseling partners that I work with is how to reconcile demand with the realities of fewer resources. My answer is that technology may be an underutilized part of the solution. Housing counselors know how hard it is and how long it takes to help a client. The counselor is required to collect data and documents, and be able to verify them. They are also required to be well versed in a long list of available programs and products. As a former housing counselor, I spent 8 years from 1994 to 2002 with Neighborhood Housing Services of New York City. Everything I did was in hard copy—endless papers, documents and large files that I had to keep track of. Fast-forward 20 years later and surprisingly, little has changed for many counselors. Many housing counseling agencies still do not have the technology or tools needed to operate efficiently and to make up for the loss of funding and fewer sources of revenue. Counselors today still rely on manual processes, this despite the fact that there are a range of effective client management systems (CMS) designed to improve efficiency and quality of service. Why then has the housing counseling community struggled with technology utilization? • Average number of cases organizations resolved each month increased from 31 to 93. 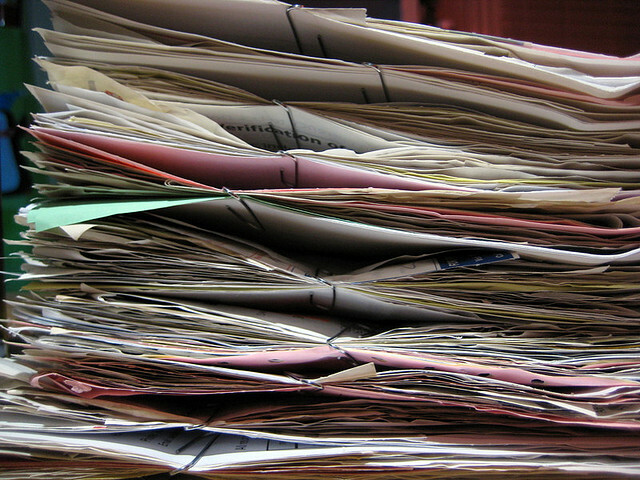 Counselors reported spending fewer hours preparing important documents. Before the CMS training, counselors reported spending an average of 7.2 hours on preparing the HUD 9902 form, the data collection form used by HUD to collect data from all approved counseling agencies. With a deeper understanding of CMS, counselors reported spending just 2.4 hours preparing the report—a 66 percent reduction in time. The pilot offers lessons for all. For developers of CMS, it is essential that in-depth training and high quality support is available to counselors when they need it. The pilot found that a sizable number of the participating counselors were not comfortable or did not feel confident using technology. Training itself also takes time and resources and executive directors of counseling agencies need to determine if investing in CMS is a good use of already scarce resources. I believe that in most cases it is. Technology is no substitute for hands on advice and personal attention. There will always be cases that require high touch involvement from counselors. Technology allows for more time to provide that kind of assistance and less time spent on necessary but time-consuming administrative responsibilities. With high demand and reduced resources, technology can help secure great efficiencies so that counselors can support more families. How about this? In addition to the use of technology to make housing counseling more efficient, why don’t we have the banks and financial institutions who created this on-going crisis, pay for the costs of unraveling their fraud and abuses. Instead of asking the taxpayers to bail them out once again, why aren’t the the culprits who have increased our workload and decreased our funding paying the true costs of their felonies. Banks, in cahoots with the government, agreed to “pay” billions in the foreclosure “settlement” that was for the most part a payment back to themselves. It was a joke. That was just the latest scam to continue the bilking of homeowners and communities out of the resources that they need to try and mitigate the disaster caused by the fraudulent loans that were dished out like candy in the 2000s. So stop the con job about how technology will help us support families. Here’s an easy solution. Reset the principle balance of every mortgage written in from 2000-2009 to the value of those homes after the crash. Maybe the financial industry can take the hit for once, instead of low/moderate income homeowners and their communities. Safeguarding a dream? Banks like Citi, BofA, Wells and all the others along with their local mortgage brokers (who have since snatched the money and ran) destroyed the dream for millions of Americans and then had the audacity to ask for handout after handout to protect their bonuses and bottom line. Technology is not substitute for personal attention. And empty suggestions like this are no substitute for real solutions that require banks to pay back America both in money and prison time. Your industry’s “white collar” crimes are no less heinous than any street crime or robberyl. You just have the advantage of having the ability to pay off your potential jailers (Congress and President). Shameful.